Guangzhou Juan Optical & Electronical Tech Joint Stock Co., Ltd. is one of the world’s leading suppliers of video surveillance products and solutions. Established in 1999, Juan has grown rapidly in these year. With 15,000 square meters plant area, Juan own 15sets medium speed and high-speed SMT, 4 DIP workshop,4 assembling lines, Daily productivity up to 5000 sets,3 testing lines 2circuit aging room. In addition, there are more than 60 professional engineers in R&D center, including software and hardware. 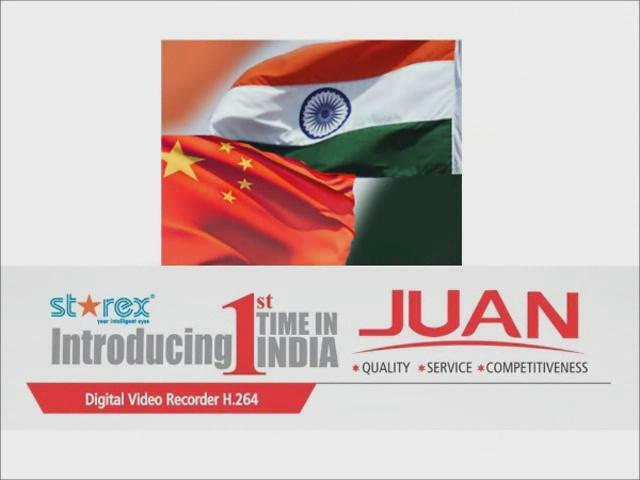 JUAN’s product offerings include NVRs, standalone DVRs, high definition IP cameras. These products are used in more than 30 countries, and have been used to secure various security applications around the world. For more information, please visit Juan’s website at www.juancctv.com. JUAN has been developing very good domestic market share. And set up branch in many provinces. most of the provinces market share more than70%, Overseas markets develop rapidly, including United States, Europe, South America, the Middle East and so on. Our products have been applied widely in transportation, communication, finance, electricity, education, government, prison, etc. Our products have been engaged in many importance municipal engineering, such as the Guangzhou Asian Games, Shenzhen Games for University Students, Beijing Subway, Huizhou Telecom and National Power Grid. Faithful, practical, innovative, long-term; Juan Optical elevates its quality, service & competitiveness persistently, keeps a foothold in video monitor industry for a long time, and determines to be a hundred-year-video signal equipment corporation. JUAN Optical, your most trustful cooperation partner!